The following questions have been raised in response to the Governments proposals for “restricting finance cost relief for individual landlords”. 1) Does the Government consider it is reasonable for any business to have to pay more tax than they actually make in profit? 2) Does the Government consider it is reasonable for any business to have to face a huge tax bill when their business makes a loss? 3) Can the Government provide any other examples where a business is taxed on their largest cost? 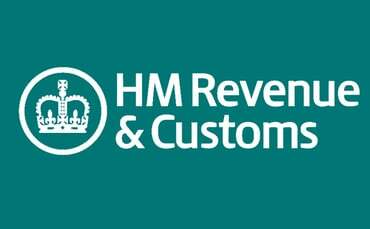 4) Does the Government accept that some people will lose their personal tax allowance as a result of the change as their taxable income will exceed £121,000 but their real income will be nowhere near this level? Is this a policy objective of the Government? Does the Government consider this to be fair? 5) Has the Government considered what the cumulative impact on the private rented sector will be of its proposal to restrict finance cost relief when this is combined with the withdrawal of the wear and tear allowance and the expected increase in interest rates? 6) Does the Government appreciate that many landlords face financial ruin and possible bankruptcy as a result of the changes proposed in the summer budget? 7) Has the Government considered the impact of the change on banks and other lenders? Many will be faced with having to repossess properties and will find it difficult to sell these properties as the market will become saturated with properties being put up for sale at a time when demand for home ownership is low. 8) Does the Government appreciate that there is a very real risk of there being another housing crisis with many private rented houses being repossessed and tenants being made homeless? There is a real risk that the Government’s proposal will cause instability in the housing market and uncertainty for landlords and tenants? 9) Does the Government accept that as a result of their proposal there is likely to be another collapse in house prices and this will have knock on consequences for the scale of house building across the UK and that this in turn will reduce the amount of affordable homes that are built as much of the land for affordable homes comes via planning obligations entered into between councils and housebuilders. 10) Does the Government accept that many landlords will be forced to restrict the amount of money they spend on repairing and improving properties because they will face much higher tax bills in future? 11) There is a shortage of social housing all across the UK. If the supply of rented properties for people on benefits significantly reduces as a result of the Government’s proposal, who will house these people in future? 12) Has the Government considered the impact that their proposal will have on existing tenants? Does the Government appreciate that restricting or reducing supply will push up rents in the private rented sector? Many landlords will be forced to increase rents to try to deal with the tax bills they will face. I am aware of landlords who are already seeking to increase rents in anticipation of the change. 13) Does the Government appreciate that many basic rate tax payers will become higher rate tax payers as a result of the change and is this a policy objective of the Government? 14) The Government’s impact assessment suggests that 1 in 5 landlords will be affected by the change. Can the Government confirm how many properties will be affected? Can the Government confirm if the 1 in 5 includes those basic rate tax payers who will become higher rate tax payers as a result of the change? 15) The impact assessment states that there will be no impact on business. Can the Government provide evidence to back this up? Will the Government accept that landlords provide support for local economies by employing solicitors, letting agents, accountants, mortgage brokers, plumbers, joiners, electricians, builders, painters, cleaners, etc. and that the adverse impact on business will actually be very significant? 16) Is it a policy objective of the Government to reduce the number of rented properties owned by individuals to make way for large private companies and institutions to enter the market and dominate it? 17) The Chancellor has written to the Bank of England asking them to draw up proposals which will give the Bank more control over the currently unregulated buy to let market. This is likely to result in lower loan to value mortgages and higher deposits being required. Does the Government consider that this action alone could sufficiently temper the buy to let market and achieve the Government’s policy objective without having to introduce the proposed restriction on finance cost relief? Will the Government wait on the Bank of England’s proposals before deciding if it will proceed with the proposals to restrict finance cost relief? 18) Will the Government put its current proposals to restrict finance cost relief on hold and carry out consultation with stakeholders on more appropriate measures to achieve its policy objective of controlling the growth of the private rented sector? Government ripping Landlords again !! !